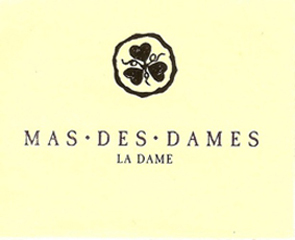 Mas des Dames translates as Farm of Ladies. It was christened by current owner Lidewij van Wilgen of Holland upon learning that her three young daughters were the third generation of daughters to be raised on the Mas in recent memory (the farm dates from 1750). Lidewij—Lee to us—abandoned a world of advertising in Amsterdam in favor of the French countryside in 2002. It was an idyllic dream, one she put into play. The criteria were simple: a small farm with vineyards in walking distance. She found Mas des Dames tucked back on a flank of a hill outside of Murviel-lès-Béziers. Murviel is a forgotten medieval village with narrow, circular streets spreading concentrically outward, and it sits on a point of high ground in the hinterland behind the ancient Mediterranean city of Béziers. The Mas was perfect, and altogether traditional with small vineyard plots planted on contours.